That’s the word from 30-year-old Ross Douthat, who was hired by the NY Times to be an opinion columnist representing the corporate party. Ross was born with a gold fork embedded, attending private schools, and following in the shadow of his ancestor Wilbert Snow, governor of Connecticut. Nobody in his family needs Social Security, since they are rich enough to retire when they are born. This “take from the old and give to the poor” plan is identical to the philosophy of the New Democrat Coalition and Third Way. Their plan is to increase welfare for the very poor and keep taxes low for the rich and corporations. The only place to get money to pay for these rich and poor subsidies? The middle class, especially the elderly on Social Security and Medicare. The plan has been articulated by many pundits, and the proposed healthcare law includes an example. Medicare Advantage plans will lose about 14% of their government funding and the retirees will have to buy additional insurance to pay for it. Means testing could be elimination of Social Security with more than a set amount of assets, including the home. If you have $200,000 in equity in your home, no more Social Security – even if you have no ther income. Your only choice is to sell your house and move in with the kids, and then they’ll give you back the Scoial Security you paid into for may 40 years. Obama’s team will introduce this as “entitlement reform”, and the less than brilliant media will endorse it as a great idea, because none of them need Social Security. Kinsley knows the difference between average and mean. Average includes the very rich, and median is the number right in the middle – the real average, and that number is $190,100 – which is lower than the same median for younger people. The old have fewer assets. The average retired family has $139,000 in assets, far less than the 45-64 age group. 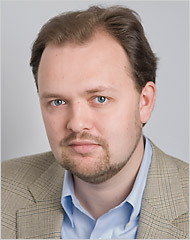 Douthat also quotes the same $691,000 in another of his columns. I didn’t know that “good” Catholics lie. Ross, it’s time for confessing one of the seven deadly sins. Time Magazine is a disgrace for printing such slime ball lies. Knowingly. Kinsley and Douthat are ready to put their hands in your pocket and convince you with lies. Forward this blog to seniors you know so they can get ready for the new poverty plan by the Time and Times liars.